There’s a strong emotional heart beating throughout Half Nelson, a film that’s in a constant state of flux. The story follows teacher Dan Dunne (Ryan Gosling), a man juggling his spiraling crack addiction with the responsibilities of teaching a class of children. Dan is a teacher who follows his own rules and an early meeting with the school principal suggests that he’s not teaching the curriculum as he should be. Instead Dan introduces his pupils to dialectics, a theory that considers the process of change. Often veering towards college level analysis, Dan discusses philosophical and political ideas with children too young to understand. This discussion serves as a microcosm of the wider plot. Half Nelson isn’t a film about a teacher, or even a drug addict attempting to be a teacher, it’s about change, and the fact that nothing is constant. This idea appears in every narrative strand throughout the film. Dan, for instance, is a man who believes himself to be in control of his drug addiction. He’s certainly a functional addict, he’s a good teacher, and his class responds well to his charismatic methods. But Dan’s life isn’t preserved in a vacuum and bit by bit his carefully constructed persona starts to fall apart and his secrets become harder to keep. Shareeka Epps as Drey in Ryan Fleck’s Half Nelson. There are definitive moments in every person’s life and one of Dan’s occurs just after a school basketball game. His ex-girlfriend shows up and she wants to go out for coffee but Dan refuses opting instead to use the deserted locker room as a place to get high and forget his past rather than reminisce with a one time lover. His solitude is interrupted by Drey (Shareeka Epps), a young girl from his class, who sees him smoking crack. For Dan it’s an experience that could ruin his career, but for Drey it’s something more insidious. Her heroic teacher is laid low and revealed to be just as flawed as anyone else. But she keeps his secret, and in the process a relationship is formed with Dan becoming a sort of mentor figure to her. Drey’s life has already been marked with change and so she takes this moment in her stride. Her mother works long shifts at the hospital and her brother is in prison, and Drey has had to become self sufficient. She has the opportunity to make some money selling drugs via her brother’s friend Frank (Anthony Mackie). At the heart of Dan’s argument on dialectics is a consideration of binary opposition. He uses historical events to highlight the idea of conflict between two forces. This influences the narrative arc too and Drey becomes caught between Dan and Frank – two men who think they know what’s best for her, but they never ask her what she thinks. Drey is a strong character and she’s smart. She tells her mum that she’s old enough to look after herself now as she’s thirteen. There’s a heartbreaking truth at the centre of this statement as it reveals that Drey has to look after herself because there’s no one else. However much Dan wants to help her he can’t because his life is falling apart. Frank only wants to use her street smarts to sell drugs. In Drey’s history class presentation on Chile she considers the ideology that shaped the conflict that installed Pinoche. She quotes Kissinger, ‘These issues are much too important for the Chilean voters to decide for themselves.’ It’s a sentiment that can be applied to her experiences as a child, and the shared experiences of children who are traditionally molded by schoolteachers, and indirectly the state. Change requires opposition, and without it things would stay the same. It’s the idea of ying and yang, the notion of symbiosis, and the understanding that one wouldn’t exist without the other. In the school system it requires teachers to do their jobs, but it also rests on the children to turn up, sit down, and listen up too. In the process society shapes children to reiterate answers, and to pass tests, but it doesn’t foster an attitude of discussion. If we teach children to learn by rote do we hinder the potential for change in the future? For the first half of the film Dan manages to teach his kids well, he keeps them engaged, and he introduces them to big ideas and concepts. It works because he knows how to relate to them on their level and he’s doing it because he wants to affect positive change. Towards the end of the film however Dan loses his audience, he chooses to pontificate rather than elucidate, and the school children are clearly bored and fed up with his methods. At one point Dan attends a dinner party at his parents house and on his way out his mum expresses some moderate concern about his well being. Dan instead chooses to discuss his legacy as a teacher, praising his mum’s generation for stopping a war, and bemoaning the fact that one man can’t do much alone. It’s the same sort of logic that Dan uses to excuse his drug problems. In his head its more moral to drop out and accept the way things are than try to fight the system and better people’s lives. Dan is just as susceptible to change and conversely just as resistant as anyone else. The news that his ex-girlfriend is getting married prompts him to increase his drug taking, become more and more ostracized at school, and destroy his potential relationship with a pretty coworker. But things take time to happen and Dan’s fall starts slowly, with sleepless nights, and bleary eyed early morning lessons in school. Time takes its toll and Dan becomes less engaged, his behaviour more erratic, yet no one says anything because to acknowledge what’s happening is to make it real. Dan doesn’t notice that his class no longer listen to what he has to say, and the adults in his life fail to affect positive change by confronting Dan about his problems. Instead things happen quietly, events occur in isolation, and Dan is the only one who can acknowledge the danger he’s in. Drey’s story is no kinder and she becomes embroiled in drug dealing and petty crime. It looks like she’s following in her brother’s footsteps all the way to prison. But a chance encounter, another definitive moment in her young life sets her on a new path. One late night drug deal at a low rent motel party sees Drey sell her teacher crack. It takes opposition for change and it takes two forces to make it happen. That moment where the teacher student binary is destroyed forever is also the one that introduces the potential to approach the future differently. Without Dan, Drey would never be able to escape the life of poverty and crime she was born into, and she would likely never have been introduced to his theories on change. But Dan needs Drey too as she’s his catalyst, the element of his life that’s positive, and promises to edify rather than destroy him. Half Nelson is a low budget indie from director Ryan Fleck. It’s captured on digital film and it’s washed out tones, and the sparse and empty mise en scene add to Dan’s addled narcotic perspective on life. 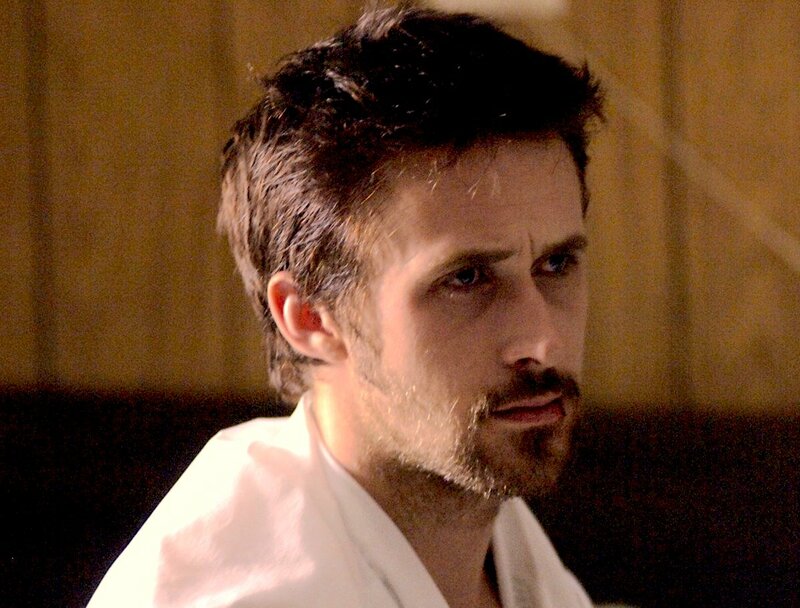 The performances are powerful and Ryan Gosling received an Oscar nomination for his work as Dan. But it’s in the collaboration that the film shines. Shareeka Epps plays Drey with a heartfelt realism, and Anthony Mackie’s Frank is a charismatic but threatening local thug. Fleck’s film challenges the way that we see the world, its narrative is based on bigger themes that explore societal change and the idea that even school children deserve a voice. Dan shows his kids a video clip of Mario Savio discussing freedom and the need to fight for it. It’s a struggle that Dan can relate to as a drug addict, as a person, and as a teacher too. It’s a conflict that his school children understand but on a different level. But it’s also the conflict inherent in all of us. There are things expected of us, we have obligations and responsibilities to meet, but we also have the need for freedom ourselves, and for the ability to live independent lives. In every conflict there is an eventual winner, there’s one side that gives in and there’s another that doesn’t. For Dan he has to hold onto the hope that he won’t lose to his addiction. For Drey it’s the desire to find herself before other people shape who she will become. Change isn’t always for the best, there are ‘changes that we can control, and there are others that we can’t,’ but we can fight our base instincts, our worst desires, and aim for something better. Dan is a man in turmoil, he’s the epicenter of an internal conflict, and Drey is a girl buffeted by external forces, but both of them are strong people who seek positive change. That alone makes them admirable. Half Nelson is a film from the Bush era that tells the story of an idealistic teacher overwhelmed by his reality, and a young girl struggling with hers. Next Next post: Ted 2 (2015) Film Review: A Stuffed Bear With a Beating Heart?